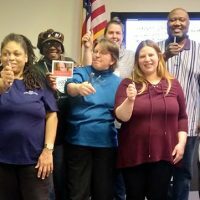 By Just Harvest on February 18, 2019 in Blog, Take Action! On February 7, we launched our new monthly action series to use letters to elected officials and newspapers as a way to take action against hunger. Just Harvest joined Pittsburghers for Public Transit and other allies to highlight how transit equity is a civil rights issue for those who are likely to be in poverty. 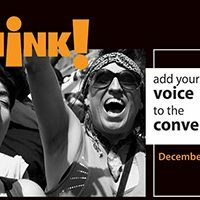 By Just Harvest on January 29, 2019 in Take Action! 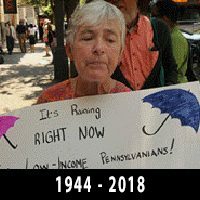 After years of advocacy and a PA Supreme Court ruling, General Assistance has been reinstated in PA. But it’s now at risk of being eliminated again. 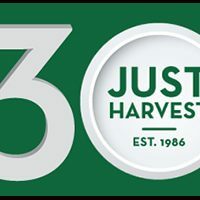 By Just Harvest on October 5, 2018 in Take Action! 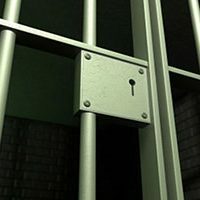 This state bill would reduce assistance for the most vulnerable members of our community while punishing them for past mistakes, simple errors, or even a stroke of good luck. 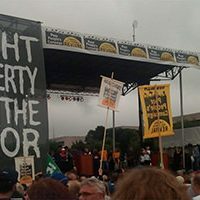 On June 23, we went to Washington D.C. for the culmination of the 2018 Poor People’s Campaign, the revival of a movement launched in 1968. 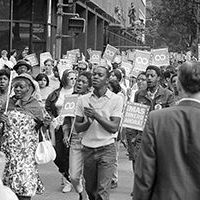 Board member Theresa Orlando shares her personal experience of a key moment in the Civil Rights movement and how it changed her view of white supremacy. For this long-time Just Harvest Board member, economic injustice was a personal threat. She understood the pain of skipping a meal. 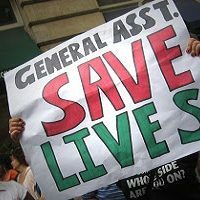 By Ken Regal on May 11, 2017 in Blog, Get Involved, Take Action! Thirty years after we opened our doors, and in a time of new risk for the people we fight for, it’s time for a new kind of campaign. 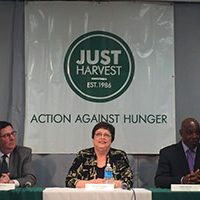 Just Harvest and Pittsburgh Food Policy Council held a debate among Pittsburgh’s three candidates for mayor: Bill Peduto, Darlene Harris, and John Welch.